With so much of conventional travel reliant on fossil fuels in one way or another, the thought of using truly alternative forms which free us from a constant obligation to watch our carbon quota, has a tremendous appeal. For some of us – and for some occasions – walking or cycling are realistic options to break the 21st Century’s petrochemical dependency, but these are not the only possibilities available. Alternative methods of transport are out there, whether for holiday travel, as a holiday in itself or even, perhaps, for more mainstream uses for work or leisure – all it takes is the ability to think outside of the “normal” box. Long before the adoption of litres, horsepower was the established measure of engine size – a homage to the importance that horses have played in the history of transport – so a more retro approach to today’s travel needs than a return to the horse itself would be hard to imagine. Though for most of us, this is never likely to be a sensible everyday approach to getting to work, horses offer fantastic holiday opportunities; whatever your personal level of riding ability there are holidays to suit – and many of them close to home. Riding and trekking companies offer tours which no car can equal. If sitting on a horse is just not for you, other firms will teach you to drive one along quiet country lanes amid beautiful scenic surroundings. For those in search of adventures further a-field, a number of travel companies offer holidays in a variety of locations around the world, from Iceland to Australia and from Arizona to Mongolia. For the less adventurous – and perhaps the less horsey – an Irish Gypsy caravan offers a relaxing escape into a less hurried pace of life along some of the quietest roads in Europe. Even if you do not want to spend your every waking hour smelling of hay, there are ways to inject a little horsepower into travel arrangements – many cities offer sight-seeing tours by horse drawn carriage and who could resist one as a wedding transport for bride and groom? As an alternative to a long-haul flight, a slow cruise ship is a luxurious – though sadly for most of us, largely impractical – solution to global travel. If the time factor alone is not enough to rule it out, the cost is probably likely to be prohibitive – at least for anything other than a special occasion. 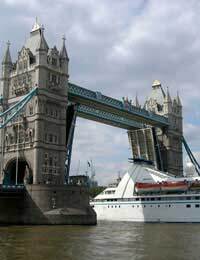 However, nobody needs to be denied the boating experience – another of the greenest ways to travel – whether that is a gentle holiday along some of Britain’s inland waterways or a more active time spent sailing around the Caribbean. There are many companies around which offer a variety of different experiences, ranging from the likes of holidays on British canals and rivers, to yachting in more exotic locations like the Seychelles, Thailand and Vietnam. For the aspiring sailor, there are even tailor-made learn-to-sail holidays often island-hopping in the Aegean. As before, if the nautical theme does not appeal to you for the whole of your holiday, many towns and cities have waterbuses and sight-seeing cruises by boat, which make a suitably eco-friendly alternative to traditional taxis and tour buses as a way of getting about. Of course, for some adventurous souls, pony-trekking or a water-borne tour of canal-side pubs is simply neither alternative nor exciting enough. Once you start looking outside of the accepted envelope of travel options, though, it is amazing what opportunities and experiences are out there. From llama trekking in Peru (and Britain too!) to safaris on the back of an elephant, there is a form of transport to suit every taste – and some of them are about as alternative as you can get.